Arrive Bangkok airport, welcome to the airport. After clearing custom, visa processing, check in to the hotel in Pattaya. Rest Day free for leisure. Overnight at hotel. Breakfast in the hotel. Transfer to Coral Island by boat (one can buy optional tour Water sports at your own cost). Rest Day free for leisure. Overnight at hotel. Breakfast in the hotel. After breakfast check out from the hotel. Proceed to Bangkok. Check in the Bangkok hotel. Evening free for leisure. Overnight at hotel. Breakfast in the hotel. After breakfast take a city tour with Temple Tour. Rest day free for leisure. Over night at hotel. Breakfast in the hotel. Check Out from the hotel (enjoy your free day for shopping). Later take your transfer to airport to catch your flight back. Above Itinerary is just an Indicative Itinerary. Do not consider it as a Final Schedule. Date & Time of Tours can be changed by Local Agent / Tour Operator. The above rates are based on minimum 2 persons travelling together and are applicable for Indian passport holders. Hotel choice is not available in Group Package same hotel will be provided to the whole group. Rates are subject to change in any case of any changes in airfare, hotel taxes, transport rates, government taxes & entrance fees. In case of unavailability in mentioned hotels, alternate accommodation will be arranged in a similar category hotel. International check in time is 1400 - 1500 hours; check out time is 1100 - 1200 hours. Early check in / late checks out is subject to availability of rooms. Luggage allowed: - One hand baggage and Maximum 20 kgs of baggage is allowed. Carriage of Extra Baggage or LCD TV will be at clients own arrangements or at an extra cost, which will be advised by the local tour Operator. BREAKFAST: Fixed breakfast as per hotel discretion. Prices are not valid during fairs, exhibitions and conventions, New Year periods/block out date’s additional surcharges applicable for the same. No refund for partly unutilized tickets. No refund for "NO - SHOWS". SUPER TRAVEL TIME will not be responsible for any medical complication that may arise during the tour. Kindly strictly follow visa procedure [must required 3 Photos (white background and glossy finish], minimum $300 per person with bill and passport validity 07 months from date of return. 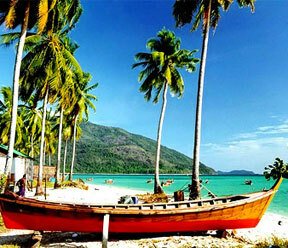 Kindly note, in all Thailand group tours first place to visit will be Pattaya and then Bangkok. (Subject to change if required). Hotels may charge a security deposit (which is mandatory to pay if asked) during check inn for laundry telephone, mini bar and any other incidental charges. Any person in tour group showing rude behavior or passing defamatory remarks will make him liable to be expelled from the tour group at his costs & legal action will be taken in the interest of other group members, staff of DMC & to safe guard reputation of service providers. Do not eat, drink or smoke while on the bus. Do not use foul language or disturb others on the bus. Consumption of alcoholic beverages in open is not allowed during the tour except in the permitted area & any person in tour group joins the group in drunken state which will affect the tour will be expelled from the tour group at his costs & legal action will be taken in the interest of other group members, staff of DMC & to safe guard reputation of service providers. Baggage and belongings at traveler’s own risk. Be aware of pick pocketing. If circumstances force you to cancel the tour, then cancellation must be intimated to us in writing. Cancellation charge will be as per the booking condition of the tour and we shall be constrained to levy the following cancellation charges per person. If cancellation is made any time not less than 11 days prior to departure, 10000/- per person shall be deducted. If cancellation is made 05 to 01 days prior to departure, 90% of tour cost shall be deducted. Once booking is confirmed during Super Peak period (Christmas and New Year Period between 22nd December and 03rd January), then Cancellation fee of 75% of Tour Cost will be charged for all booking cancelled within 45 days of travel. SUPER TRAVEL TIME cannot be held responsible for any “Refusal of Visa / Refusal of Visa On arrival/ Delay in issuance of Visa”. Applicable cancellation charges shall apply accordingly. 3 passport size photos per person (white background with glossy finish, 80% face view). Passenger traveling to Thailand must carry $400 - 500 OR 12, 000 - 15, 000 THB per person with bill to show at visa counter. Last 06 Months Updated Bank Statement with Stamp on It & Minimum Balance should be Rs.40,000/ Per Person -OR Credit Card Copy with 6 Months Credit Card Statement. Home | Abouts us | Tour Package | Hotels | Specials Offer | Agents | Blogs | Contact Us | Terms & Condition | ENQUIRY © 2017 SuperTravelTime.Com. All Rights Reserved.